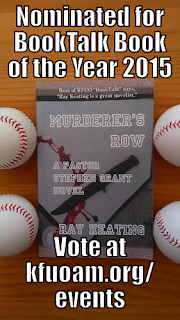 Long Island, NY – MURDERER’S ROW: A PASTOR STEPHEN GRANT NOVEL by Ray Keating has been nominated for “Book of the Year 2015” by “BookTalk” on KFUO Christian radio. Ten books have been nominated for the KFUO “Book of the Year,” and listeners get to vote by emailing the name of the book to Contest@kfuo.org. The contest ends on January 30. More information is at http://www.kfuoam.org/events/. 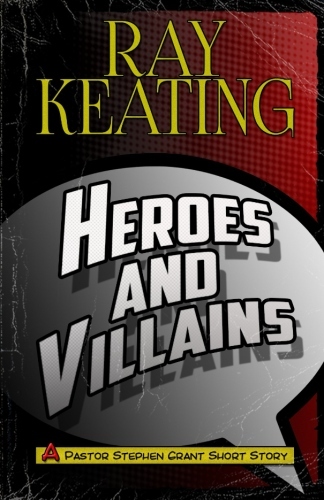 Ray Keating has been called “a great novelist” by the host of “BookTalk” radio. 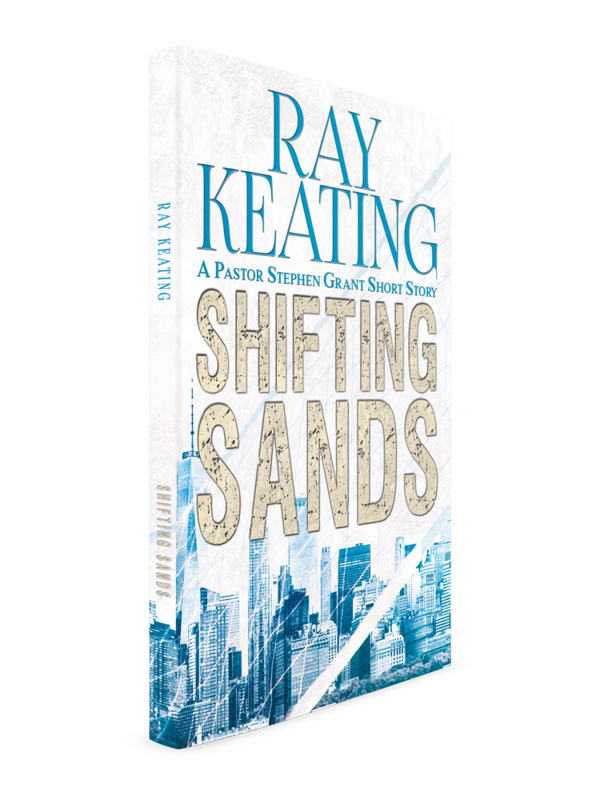 A Washington Times reviewer, who happens to be a pastor who once worked for the CIA, noted, "Mr. Keating also allows you to discover how each of his characters tick in a style and tone reminiscent of some of the best-loved books of all time.” Also, the editor-in-chief of WORLD magazine lists Ray Keating among his top 10 Christian novelists. Kirkus Review of Murderer's Row: "Action fans will find plenty to love..."
Looking for an exciting thriller that embraces the Christian worldview? 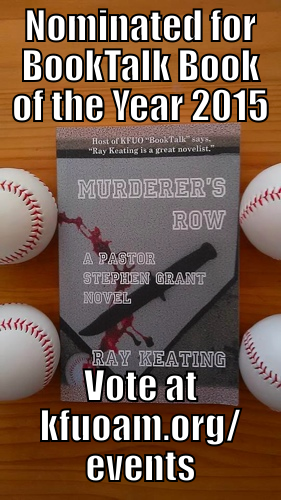 Pastor Rod Zwonitzer, host of KFUO radio’s “BookTalk,” offered big thumbs up for MURDERER’S ROW: A PASTOR STEPHEN GRANT NOVEL by Ray Keating. 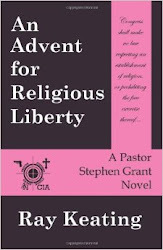 Get all five Pastor Stephen Grant novels – MURDERER’S ROW, THE RIVER, AN ADVENT FOR RELIGIOUS LIBERTY, ROOT OF ALL EVIL? 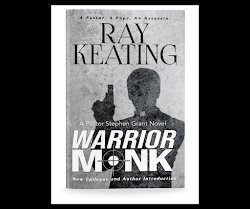 and WARRIOR MONK – at Amazon in paperback or for the Kindle. 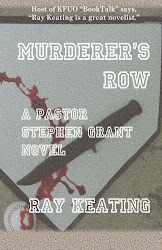 My conversation with Pastor Rod Zwonitzer about MURDERER'S ROW: A PASTOR STEPHEN GRANT NOVEL on KFUO's "BookTalk" is available on the KFUO website. Thanks again, Rod! Ray Keating goes 3-for-3 with new thriller MURDERER’S ROW: A PASTOR STEPHEN GRANT NOVEL. How do rescuing a Christian family from the clutches of Islamic terrorists, minor league baseball in New York, a string of grisly murders, sordid politics, and a pastor, who once was a Navy SEAL and CIA operative, tie together? Find out in MURDERER’S ROW. The first three Amazon reviews are stellar. MURDERER'S ROW: A PASTOR STEPHEN GRANT NOVEL Arriving Soon! 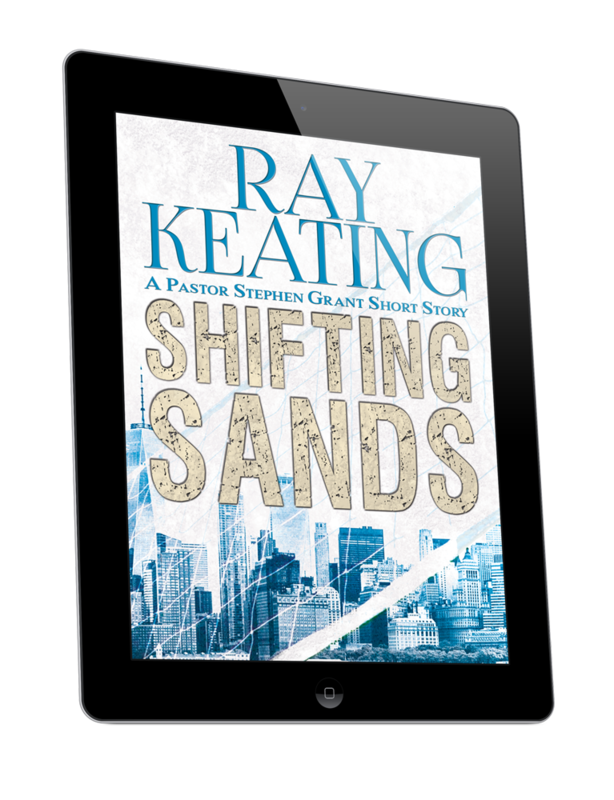 Explosive New Thriller from Ray Keating Arrives Very Soon! How do rescuing a Christian family from the clutches of Islamic terrorists, minor league baseball in New York, a string of grisly murders, sordid politics, and a pastor, who once was a Navy SEAL and CIA operative, tie together? 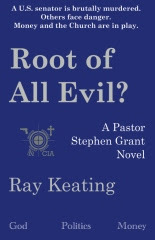 Find out in MURDERER’S ROW: A PASTOR STEPHEN GRANT NOVEL by Ray Keating. 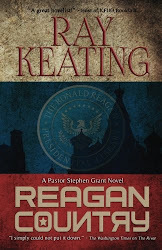 MURDERER’S ROW will be the fifth Pastor Stephen Grant novel, and Keating serves up fascinating characters, gripping adventure, and a tangled murder mystery, along with faith, politics, humor, and, yes, baseball. MURDERER’S ROW: A PASTOR STEPHEN GRANT NOVEL will be available in trade paperback and for the Kindle from Amazon.com in June 2015. 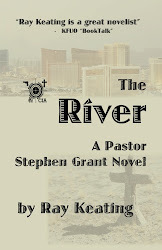 Just reached the first sales goal for THE RIVER: A PASTOR STEPHEN GRANT NOVEL! 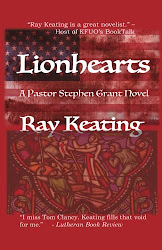 More Pastor Stephen Grant Novels to come. God bless. 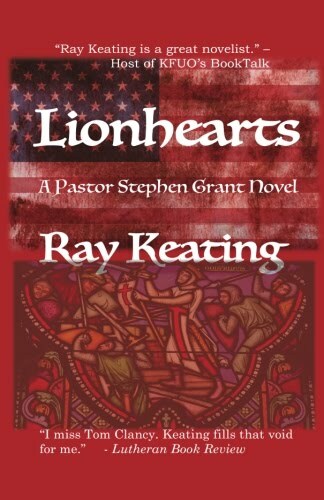 In fact, all four of the Pastor Stephen Grant Novels – WARRIOR MONK, ROOT OF ALL EVIL?, AN ADVENT FOR RELIGIOUS LIBERTY, and THE RIVER – reach beyond the usual Christian fiction. 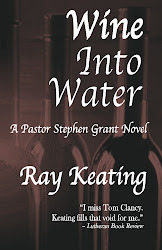 Best-selling novelist Paul L. Maier has observed, “Ray Keating writes brilliantly and convincingly. Violating all rules of physics, he can turn novels of paper into iron magnets that you cannot put down.” Get all four thrillers at Amazon.com.